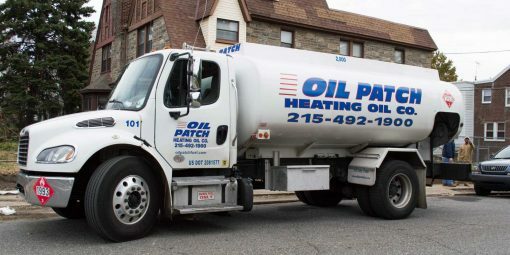 Oil Patch Fuel is proud to offer some of the lowest-priced heating oil in the Philadelphia area. Because our drivers load the Oil Patch Fuel trucks with heating oil directly from the refinery and bring it straight to your home, we’re able to offer low-cost, competitive pricing. We also offer discounts for bulk orders, with discount prices per gallon for orders over 150 gallons. Not only do we offer competitive pricing on heating oil, we also offer the highest possible quality. Our heating oil has extremely low sulfur content. This low-sulfur fuel can reduce the level of maintenance needed for heating oil equipment and storage tanks. It can also reduce sooting and scaling, which increases the heating efficiency. Of course, this lower sulfur content reduces pollution and is safe to use with existing heating equipment. If this is your first order with Oil Patch Fuel, you must be home to allow the driver to perform a tank inspection.